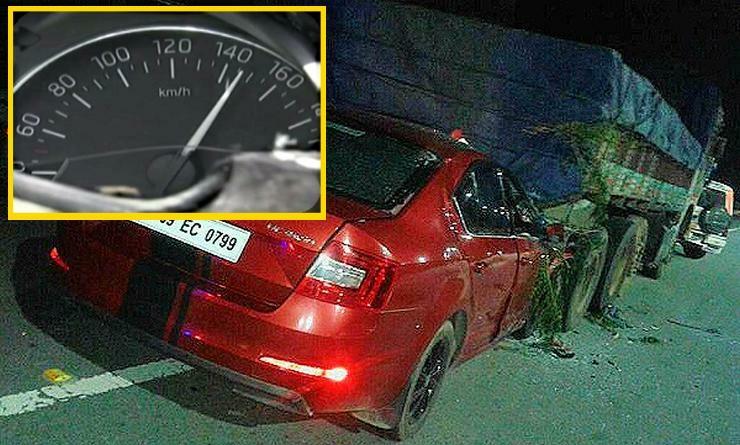 The Hyderabad outer ring road is back in the news after yet another high-profile car crash. 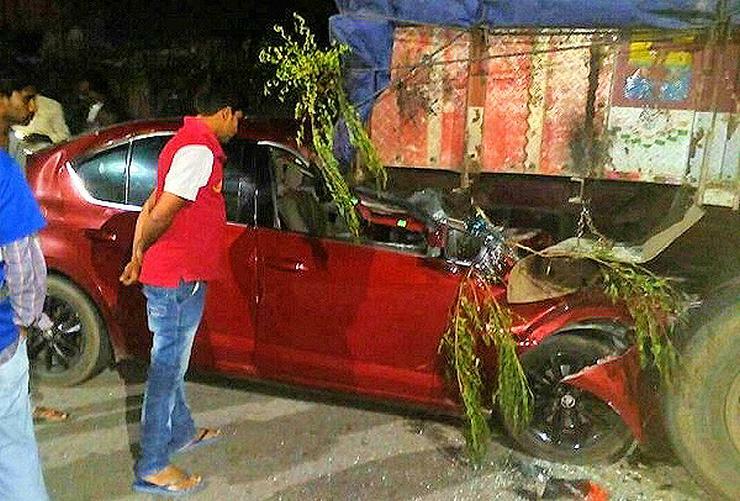 Telugu actor Bharath Raj, the brother of movie star Ravi Teja, died after ramming into a broken-down truck on Hyderabad’s Ring Road. Police sources say that the incident happened at about 10 PM on Saturday night. Bharath is said to have died on the spot. 46 year old Bharath was said to be returning home from a party at the Novotel hotel in Hyderabad. He was driving his red Skoda Octavia sedan from Shamshabad to Gachibowli. A broken down truck was in the path of Bharath’s Octavia, said to be at high speed. The truck did not have under-run protection. It appears that the actor didn’t spot the truck in time to change direction, ramming directly into it. The speedometer of the Octavia was found to be stuck at 145 Kph. The driver airbag deployed but Bharat’s face was badly mutilated in the crash. The car’s front-end was damaged completely and the impact also destroyed the A-pillar, making survival chances very slim. The only thing that could have saved Bharath was an under-run protection bar that is mandatory on all trucks plying in India. Such bars prevent cars from going under trucks in case of collisions. Due to high speed collision, Bharat died on the spot. The truck broke down and it was parked on the road side. We will register a case against the truck driver. We will send the viscera to Forensic Science Laboratory for examination to see if the victim had consumed alcohol. 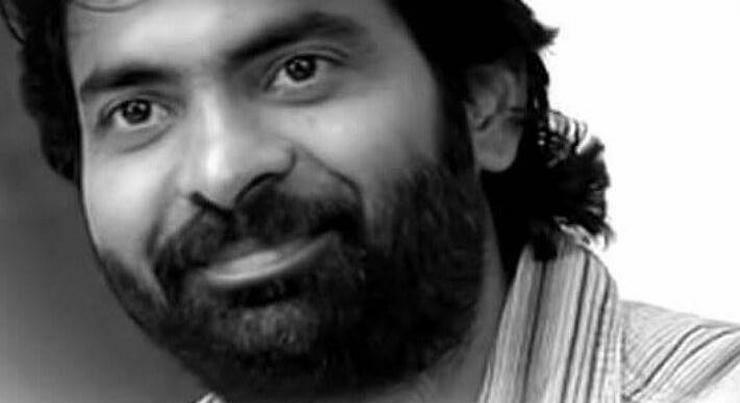 A character artist in the Telugu movie industry, Bharat has acted in movies such as Aa Mugguru, Rama Rama Krishna Krishna and Jump Jilani. The actor was single and is survived by his parents and brothers. In the past, Bharath has been arrested by the Hyderabad police for drunkenly abusing a cop (2014), and for cocaine possession (2010). Time and again, we hear of accidents caused due to broken down vehicles parked without any warning signage. Sometimes, such broken down vehicles are parked bang in the middle of the road, and even in the fast lane. This is exactly why sticking to speed limits and driving cautiously is required on Indian roads. At night, dropping speed further is recommended as many such broken down vehicles parked without adequate warning signage become nearly invisible. « 5 highway crimes of India, and how to save yourself from them!